It’s actually simple: Making the right food choices is the key to eating for weight loss. That means a balance of protein, carbs, and healthy fats, along with foods that have low energy density. Our post has the details. Eating for weight loss includes eating less and moving more. It’s easy to get the impression from advertising and news media that there are special weight-loss foods. The key to eating for weight loss, though, is to expend more energy than you take in via your food choices. In fact, any diet that cuts calories should result in weight loss, assuming you maintain the same level of exercise. And following a healthful dietary pattern will make it more likely that weight loss is accompanied by good health—and it could make weight loss easier and more pleasant as well. Eating less and moving more is the best way to achieve a “calorie deficit,” a state where you burn more calories than you take in. The key to eating less is to make sure the foods you eat will fill you up (satiation) and keep you satisfied longer (satiety). Over the years, carbohydrate, protein, and fat have all been suggested as the food component in control of making us feel satiated. While there is research to support each one, protein has risen to the top as the most satisfying nutrient, followed by carbohydrate, and then fat. But these macronutrients are not alone in controlling our hungry/full signals. Micronutrients like calcium also play a role in control of appetite. This may be because your body is designed to make sure it gets what it needs. When you’re running low on an important nutrient like calcium, your body sends out a signal that you’re hungry in order to try to get more of what it needs. Even non-nutrient food components get in on the act. Fiber, for example, will help you feel full longer—even if you take in fewer calories. So choosing naturally high-fiber foods like whole grains, vegetables, and fruits alongside your protein may allow you to eat more satisfying meals while still cutting calories. Another key to staying satisfied and well-nourished while watching caloric intake is to consider the energy density of your food. Energy density is determined by the number of calories per gram of food. Foods with high energy density provide more calories per bite than foods with low energy density. Choosing low-energy-density foods allows you to take in fewer calories while eating the same amount of food in a day (or maybe even more). 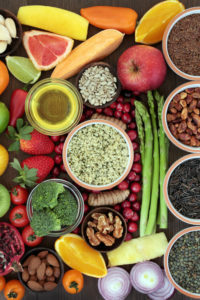 Low energy density choices include fruits, vegetables, beans, and whole grains, foods with a lot of liquid like soups and stews, and low-fat foods like pasta, breakfast cereals, and yogurt. Some examples of foods with medium/high energy density include salmon, lower-fat cheese, and lean red meat. Some foods with medium energy density—pizza, pastries, cakes, and jams, for example—are higher in fat or sugars and should be consumed only occasionally and in small amounts. If you’re trying to lose weight, limit foods with an energy density of more than four calories per gram—cookies, chips, peanuts, cheese, butter, oil, and mayonnaise. These foods tend to be high in fat and have a low water content. A great way to make meals more filling and satisfying without adding extra calories is to add vegetables. Toss an extra helping of your favorites into stir fries, stews, chili, pasta dishes, and salads. Pulses (beans, peas, and lentils) provide both protein and fiber without a lot of calories, so they make a great addition to any meal. Dietary staples in many cultures, pulses work well in chili, soup, or salad, or stirred into rice or pasta dishes to make them more nutritious and filling. The low energy density and high fiber content of fruits and vegetables have both been linked to improved weight control, but it’s possible that some may be more powerful than others. In 2016, the British Medical Journal reported an association between eating more flavonoid-rich fruits and vegetables and less weight gain. Flavonoids, including anthocyanins, are phytochemicals found in foods like berries, apples, pears, grapes, celery, and peppers. Another element that comes into play is how fast you tend to eat. Multiple studies have linked eating quickly to being overweight. Slower eating tends to result in eating less. Staying hydrated and getting enough sleep are also important when you’re trying to control your appetite. Making sure you don’t skip meals—like breakfast—and don’t eat too late at night may help as well. • Limit high fat foods. 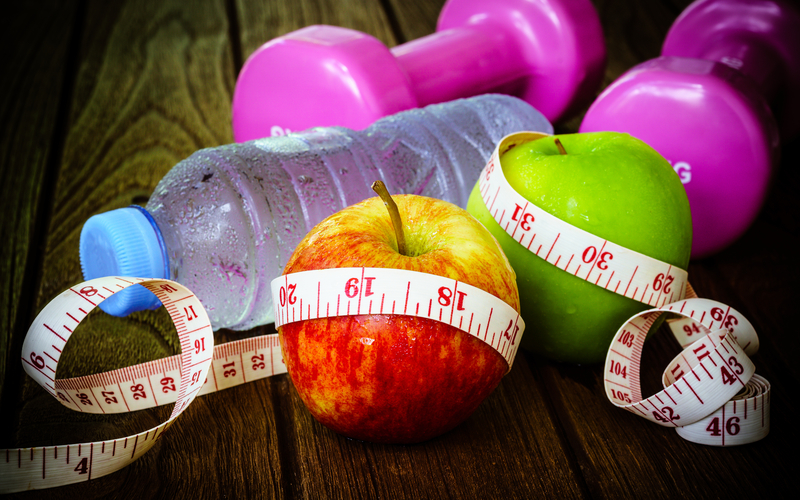 Combine these tips with regular physical activity for healthy weight-loss success. add, appetite, breakfast, calcium, calories, diet, exercise, fiber, fiber carbohydrates, food, foods with low energy density, good health, health, healthy weight, high fiber content, Lose Weight, low energy, low fat foods, more energy, physical activity, protein, sleep, vegetables, weight control, weight gain, weight loss diet, weight loss foods, whole grains, yogurt.